New York, NY — After an extensive international search, Storefront for Art and Architecture announces the appointment of José Esparza Chong Cuy as the organization’s next Executive Director and Chief Curator. He will assume the position on November 1st, 2018. An architect, curator, and writer originally from Mexico, José Esparza Chong Cuy arrives to Storefront from the Museum of Contemporary Art Chicago (MCA), where he has served as the Pamela Alper Associate Curator at the since 2016. 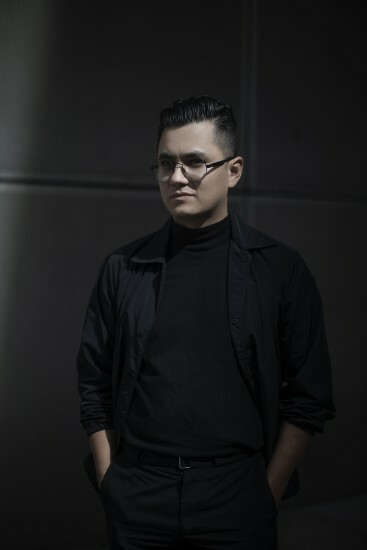 Prior to his time in Chicago, Esparza Chong Cuy was Associate Curator at Museo Jumex in Mexico City, Co-Curator of the Lisbon Architecture Triennial, Contributing Editor at Domus magazine, Research Fellow at the New Museum, and Curatorial Associate at Storefront for Art and Architecture. At the MCA, Esparza Chong Cuy most recently organized a major exhibition of the museum’s collection to celebrate its 50th anniversary. Among other projects, he curated solo exhibitions of works by Tania Pérez Córdova and Mika Horibuchi, and organized a major commission by Federico Herrero. He is currently organizing a solo exhibition of Jonathas de Andrade; a major retrospective of the work of Lina Bo Bardi, co-organized and co-curated with the Museu de Arte de São Paulo and Museo Jumex; and a show of recent acquisitions he brought into the MCA’s collection. He will continue to oversee these exhibitions as curator. Prior to his current position, while serving as Associate Curator at Museo Jumex in Mexico City, Esparza Chong Cuy worked with artists and architects such as Alexandra Bachzetsis, LANZA Atelier, N.A.A.F.I, Pedro Reyes, and Pedro & Juana, among others. At Museo Jumex, he launched an exhibition series entitled Pasajeros and co-curated its first two editions featuring Jerzy Grotowski and Esther McCoy. In 2013, as Co-Curator of the Lisbon Architecture Triennial, he commissioned major works by Frida Escobedo and Andrés Jaque. From 2007-2012, he lived and worked in New York City, where he held positions at Storefront for Art and Architecture, the New Museum, and Domus magazine. Esparza Chong Cuy holds a Master of Science in Critical, Curatorial, and Conceptual Practices in Architecture from Columbia University’s Graduate School of Architecture, Planning, and Preservation, as well as a Bachelor of Architecture from the Instituto Tecnológico y de Estudios Superiores de Occidente in Guadalajara, Mexico. José Esparza Chong Cuy’s appointment follows the leadership of Eva Franch i Gilabert—who left the organization to become the Director of the Architectural Association in London earlier this year—Joseph Grima, Sarah Herda, Shirin Nishat, and Kyong Park. To view the full press release for the appointment, click here. If you would like to arrange an interview with José Esparza Chong Cuy or cover his appointment, please contact Interim Director Jinny Khanduja at jk@storefrontnews.org or 212-431-5795. We are pleased to introduce Esparza Chong Cuy to Storefront’s community at our annual Membership Dinner on Tuesday, October 9th from 7-11 pm. To join us in welcoming him, become a member of Storefront at the Action Benefactor level or above. To become a member, upgrade your membership level, or RSVP as an existing member to join us, contact Patrick Jaojoco at pj@storefrontnews.org.